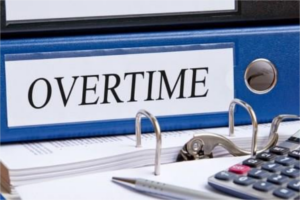 Bloomberg Law is reporting that the U.S. Department of Labor is ready to set the level for mandatory time-and-a-half pay for salaried workers at $35,000 per year, a substantial increase from the current $24,000 level but considerably less than the $47,000 minimum sought during the Obama administration. “The new rule would significantly expand the number of workers eligible for overtime pay,” Bloomberg writes. The rule would impact the definition of a non-exempt worker. Right now, employers who pay a salary of more than $24,000 do not have to worry about paying extra for hours worked over 40 hours per week. The new law would set that level at $35,000. For any workers in between, employers would have to start tracking the hours they work and paying extra for more than 40. Either that, or they would have to increase their salaries to more than the new threshold. Don’t start revising your pay structures just yet, though. Even if the new rule is adopted, “It may be challenged in court, however, by worker advocates who say it doesn’t go far enough and by business groups worried about new payroll costs,” Bloomberg reports.